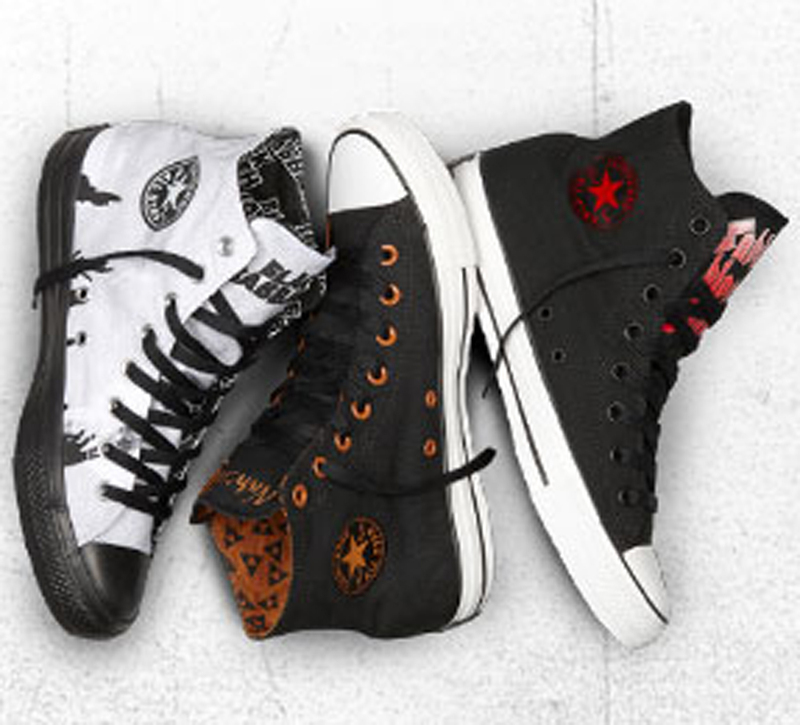 Converse has teamed up with legendary metal band, Black Sabbath on three new styles of the iconic Chuck Taylor All Star. The collaboration features the album artwork from some of Black Sabbath’s most classic records 'Never Say Die' and 'Sabbath Bloody Sabbath' as well as iconic live photography. 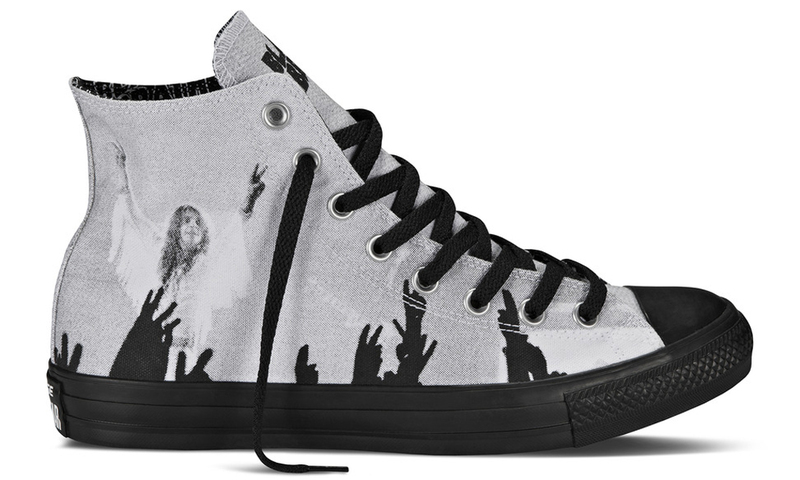 This is the third footwear collaboration between Converse and Black Sabbath. The 'Never Say Die' edition features the logo and cover art from Sabbath’s last studio album with their original lineup. 'Never Say Die' is stitched on the tongue label in the same text font as the album cover and, the album image is printed on the upper. The 'Sabbath Bloody Sabbath' edition features the logo and cover art from the record, which was conceived in the dungeons of the Clearwell Castle in England. 'Sabbath Bloody Sabbath' is stitched on the tongue label in the same text font as the album cover and, the album image is printed on the upper. Rounding this collection out is the 'Black Sabbath Live' edition which features an iconic black-and-white concert photo of Ozzy Osbourne giving a double peace sign while the band jams in the background on the upper. 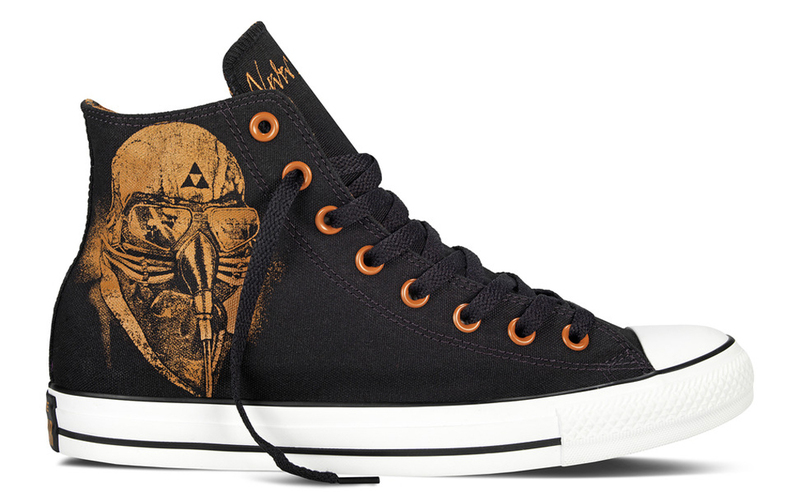 The tongue label features the classic black stitched band logo. 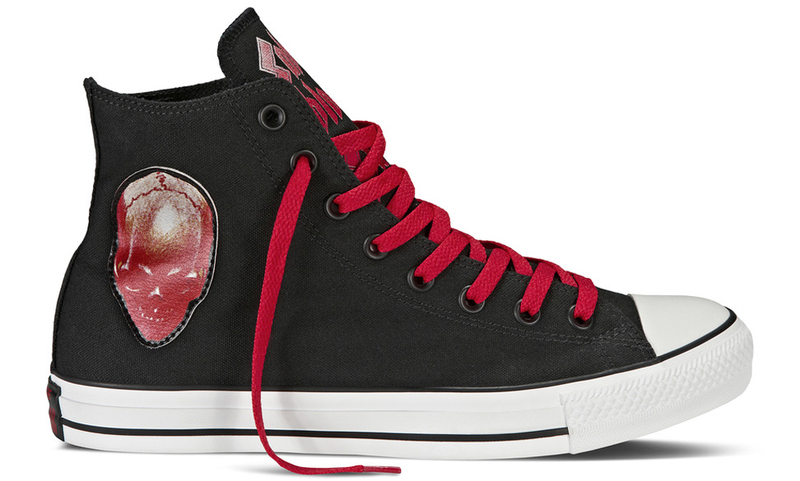 The Black Sabbath x Converse Chuck Taylor All Star Collection is available online at converse.com as well as select Converse retailers such as Journey's today. Retail is set at $60 each.